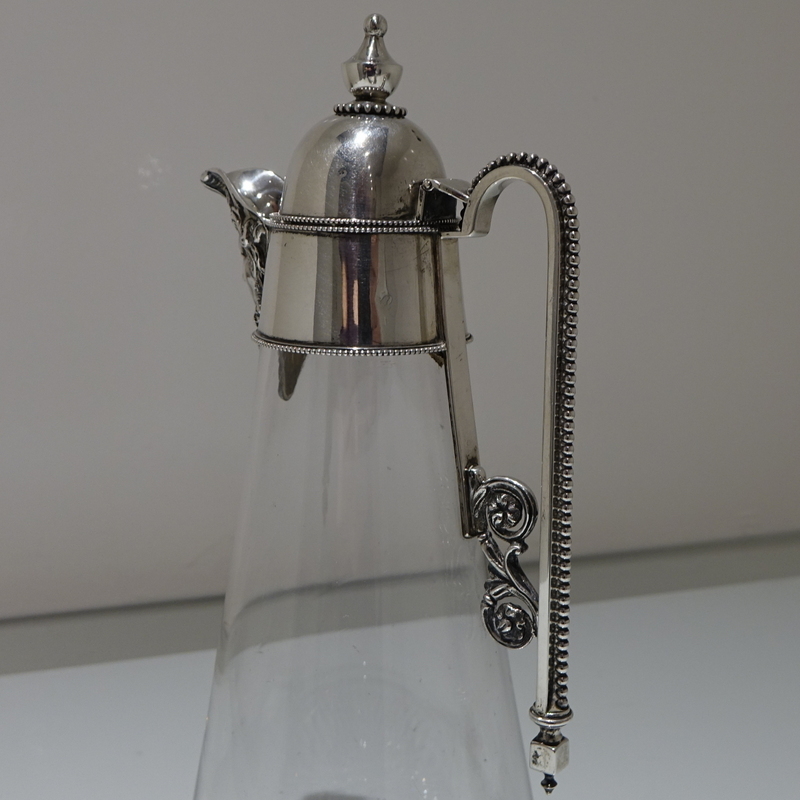 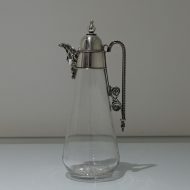 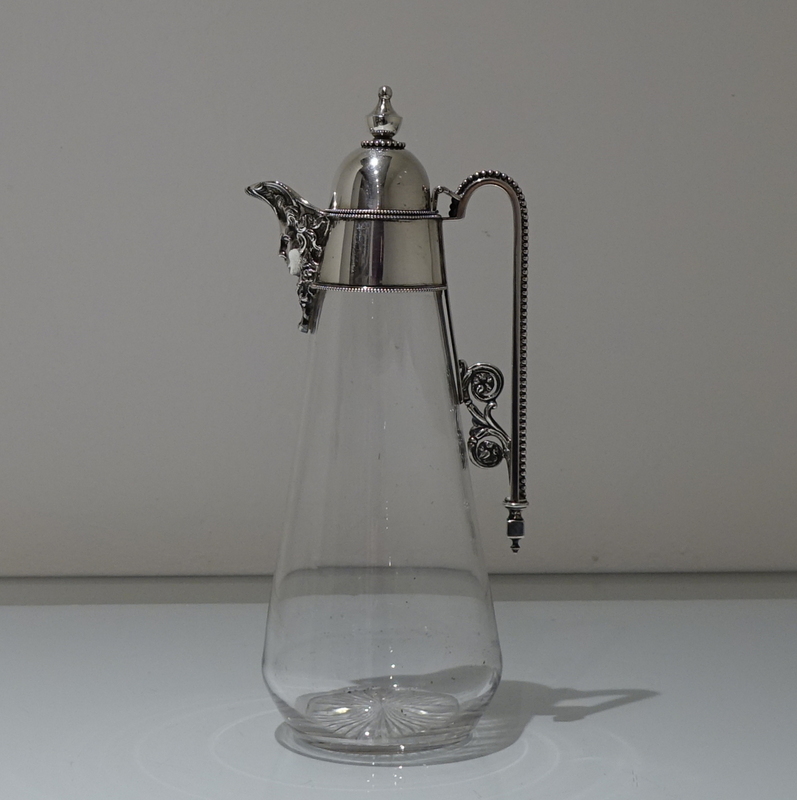 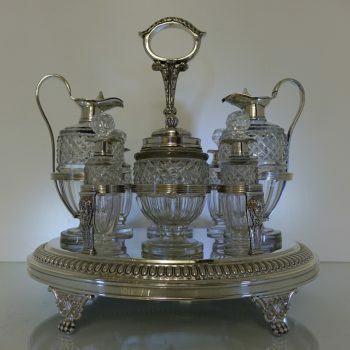 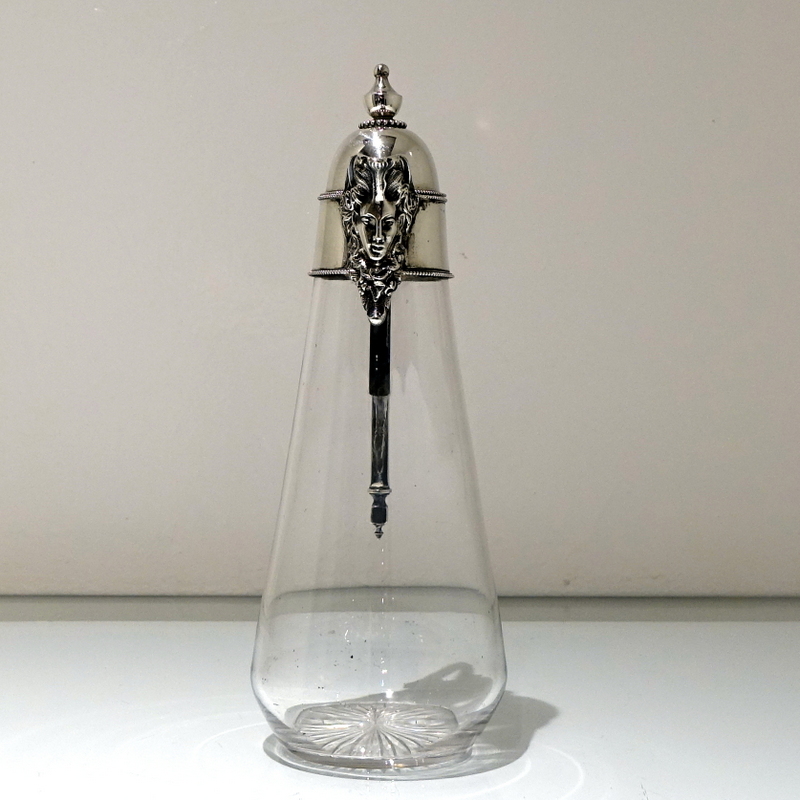 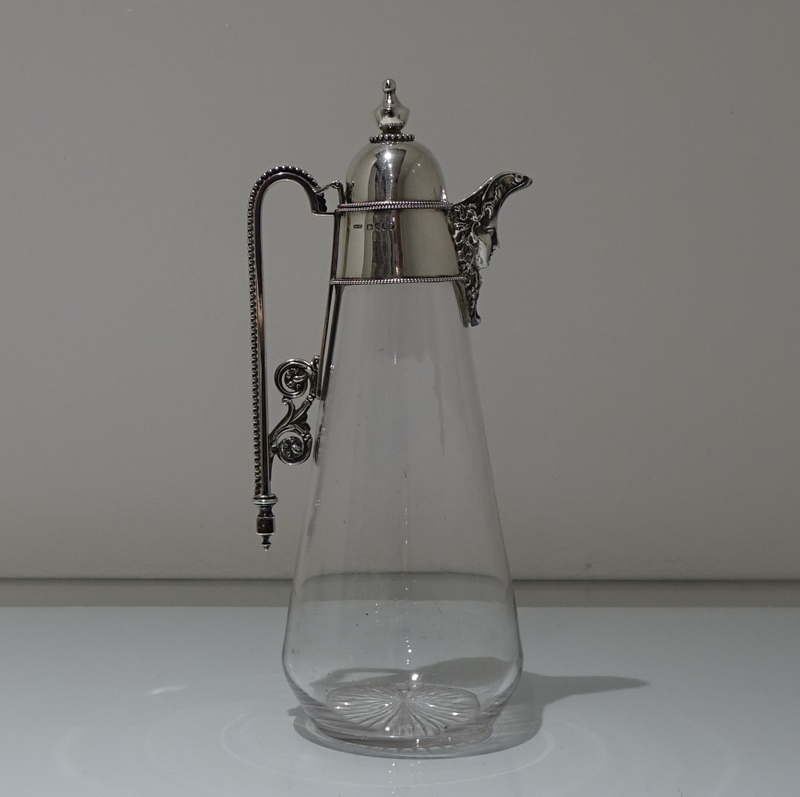 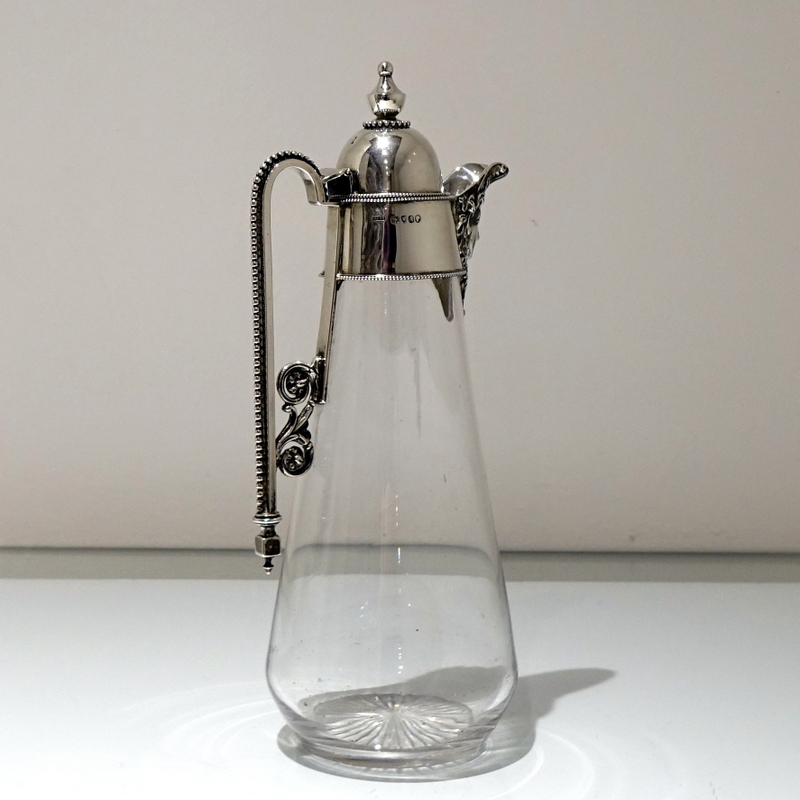 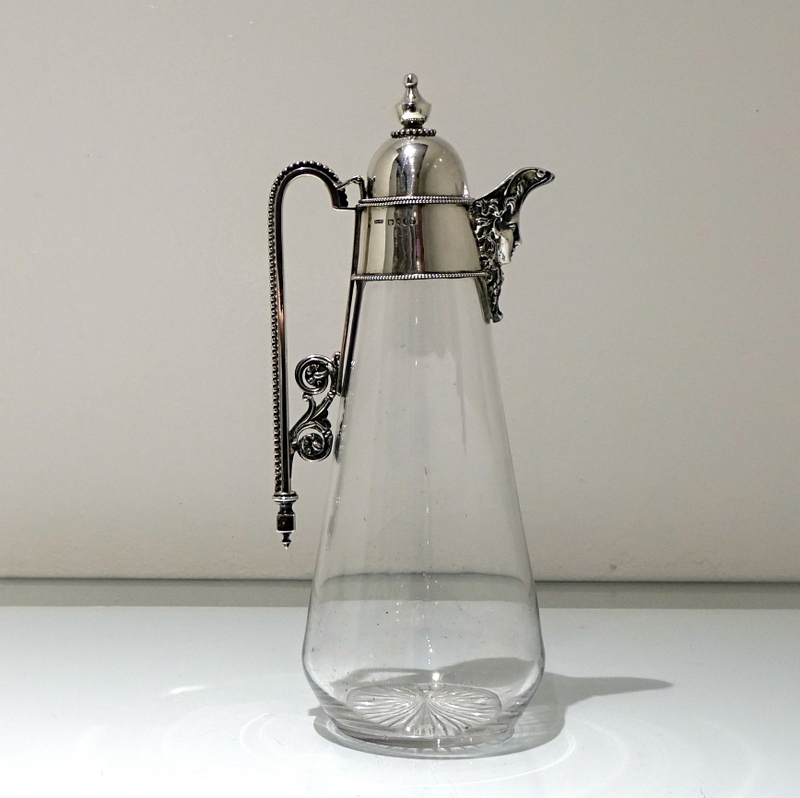 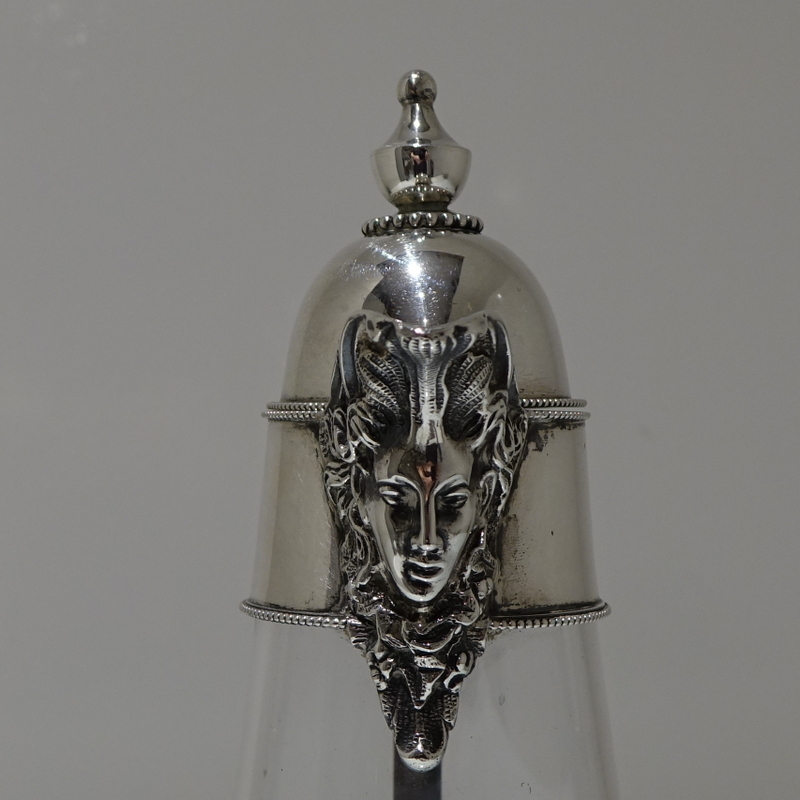 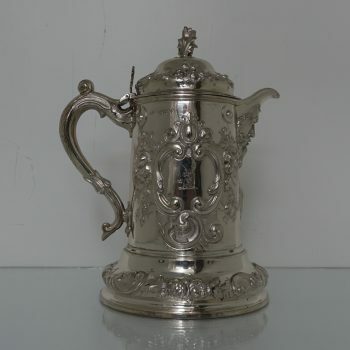 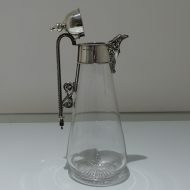 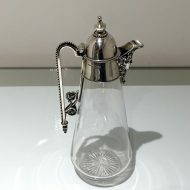 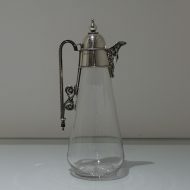 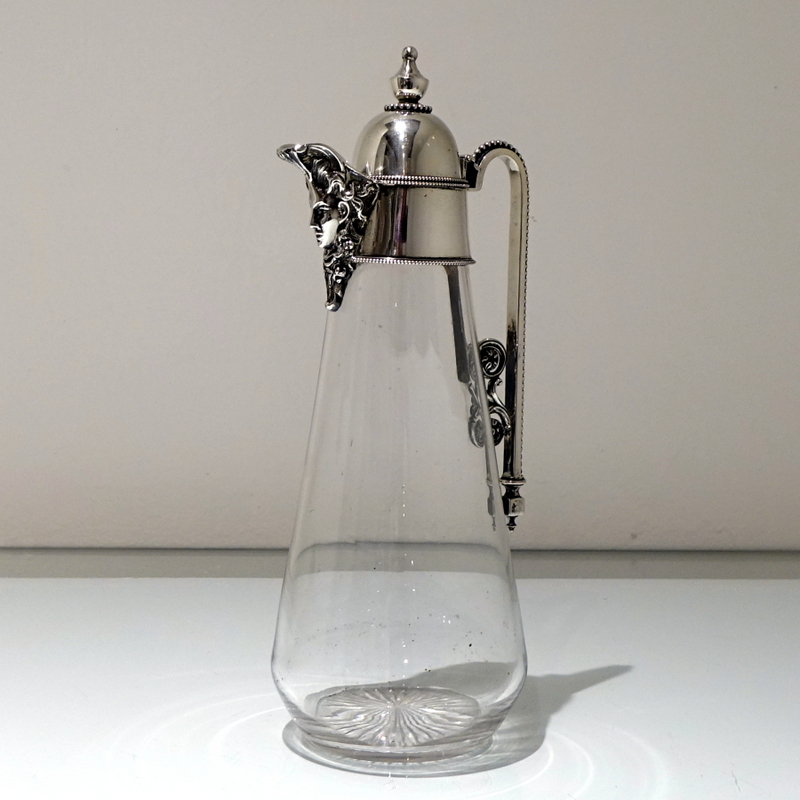 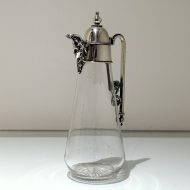 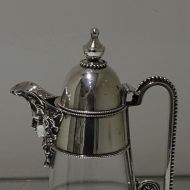 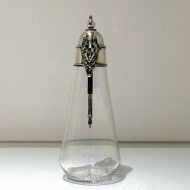 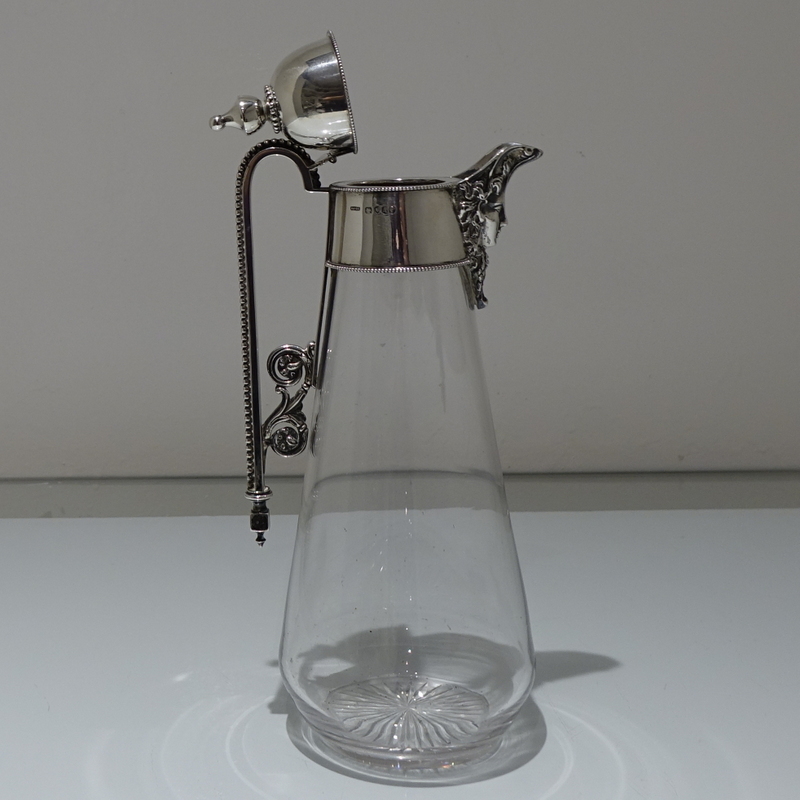 A stylish Victorian silver and glass claret jug. 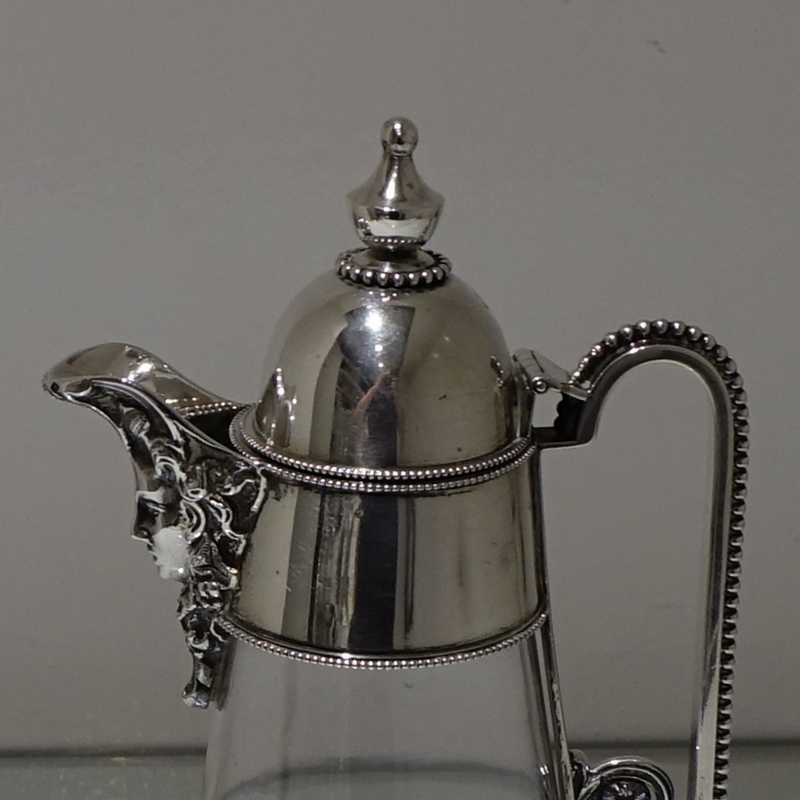 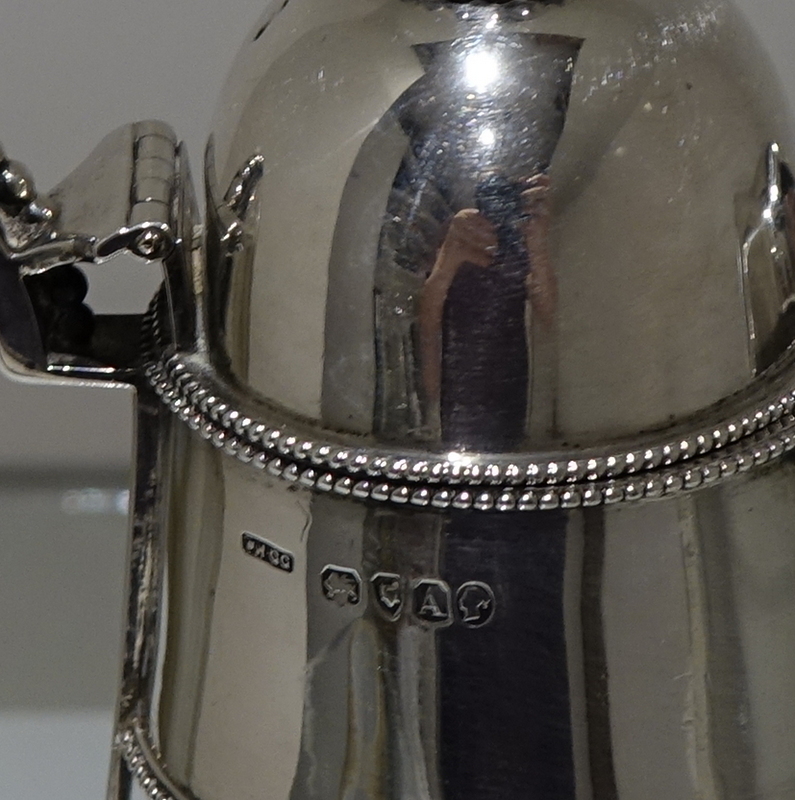 A very elegant 19th century silver claret jug decorated with elegant bead designs. 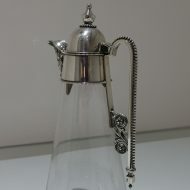 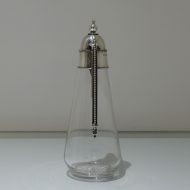 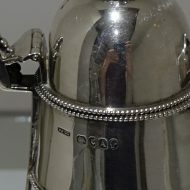 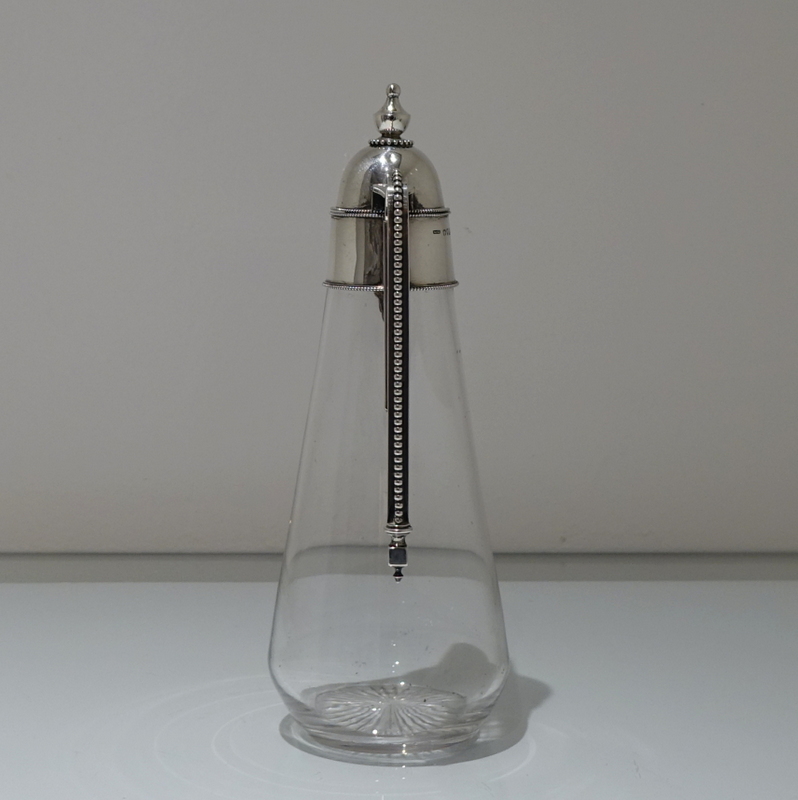 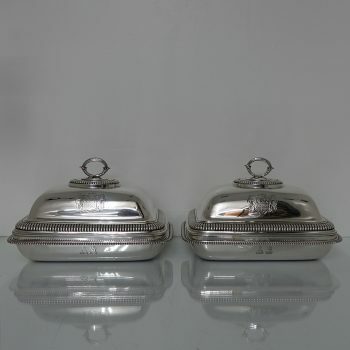 The lid is hinged and the spout has been stylishly cast. 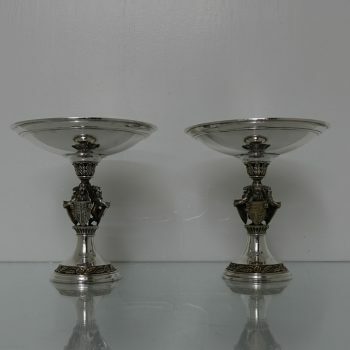 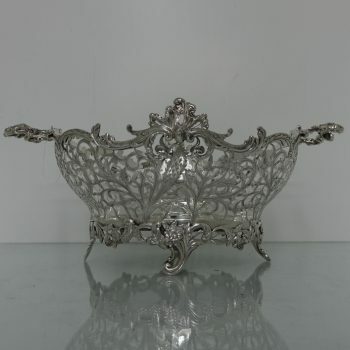 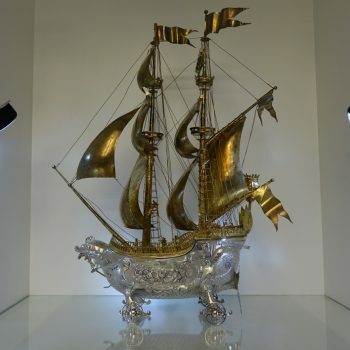 The glass (bowl) is plain formed in design and sits on a elegant “star cut” foot.